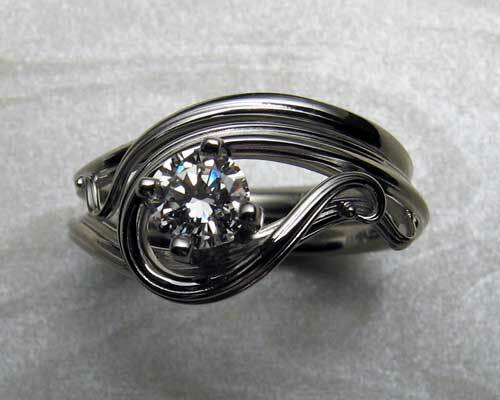 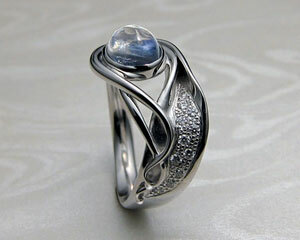 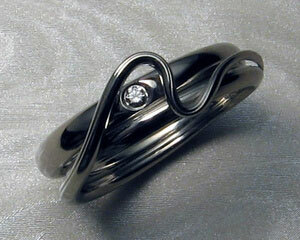 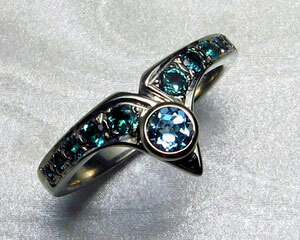 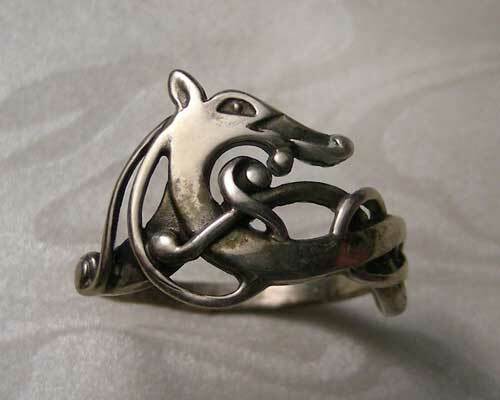 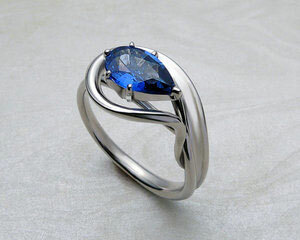 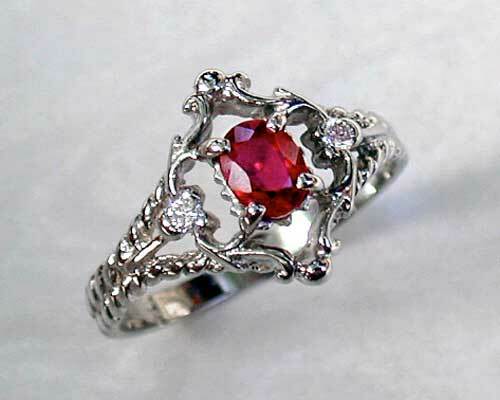 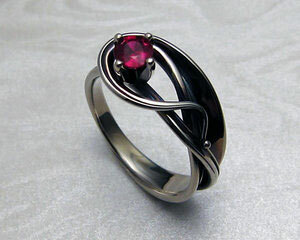 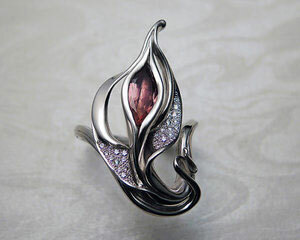 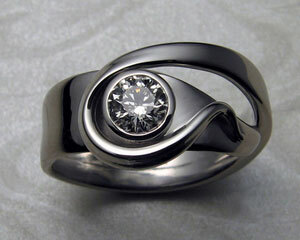 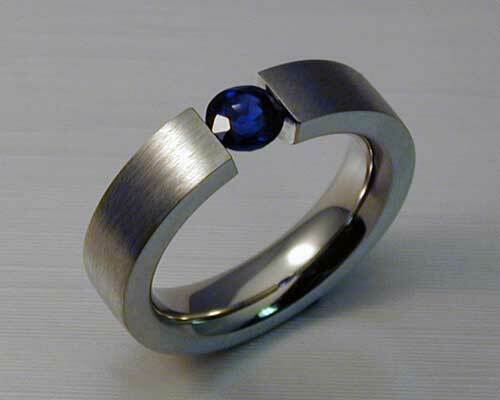 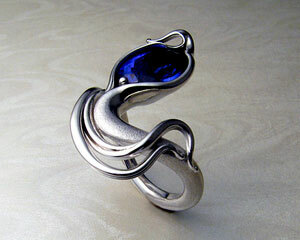 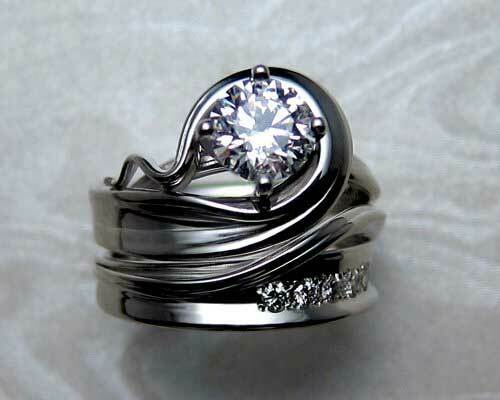 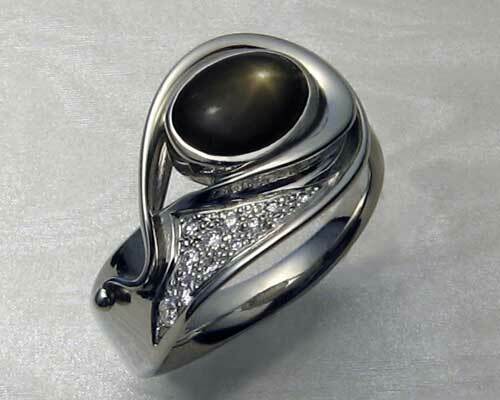 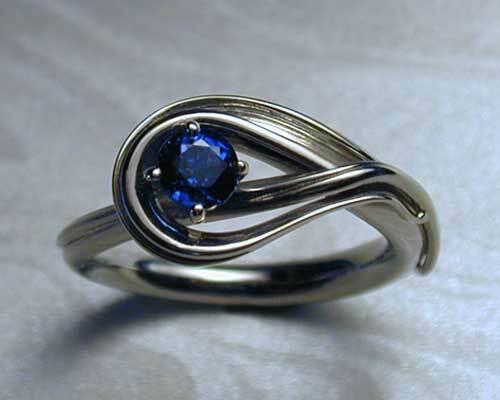 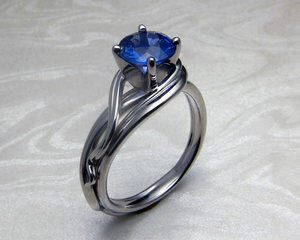 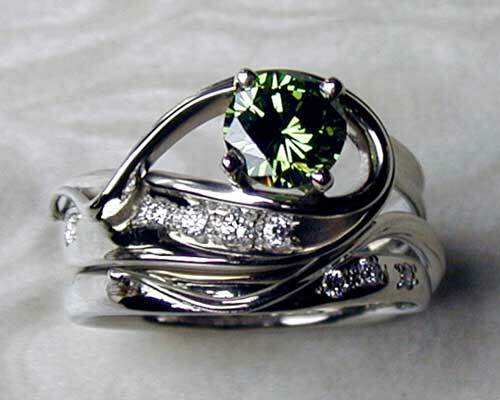 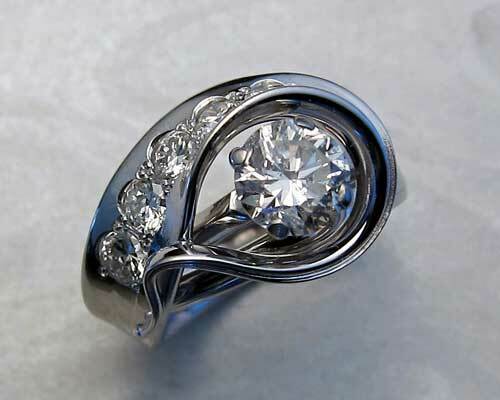 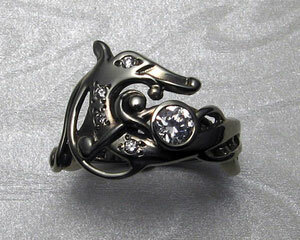 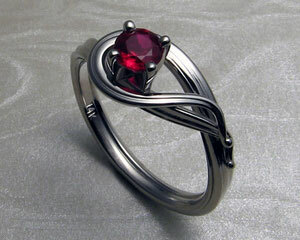 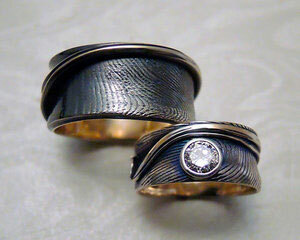 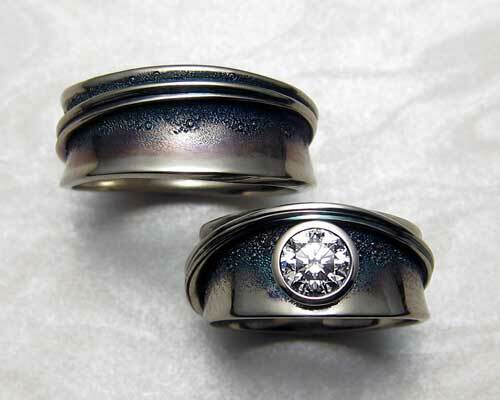 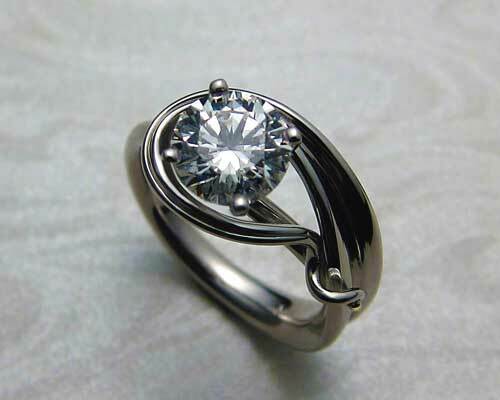 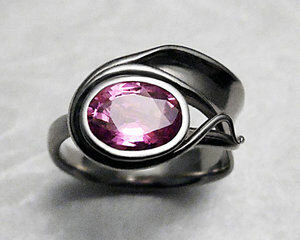 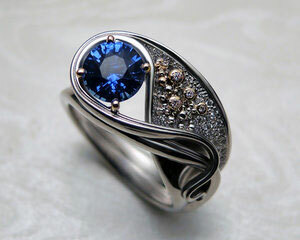 Unique, fluid, organic, free-form engagement ring set. 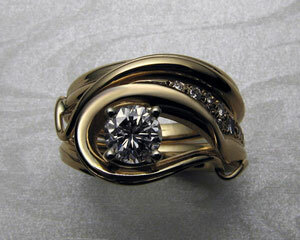 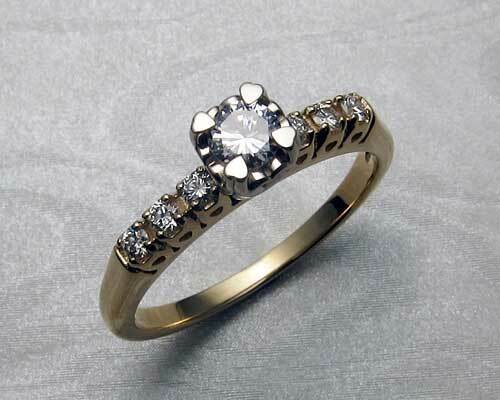 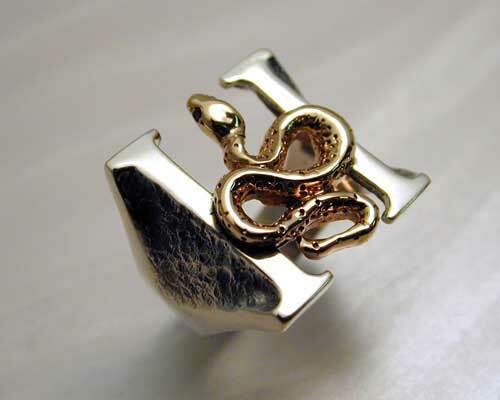 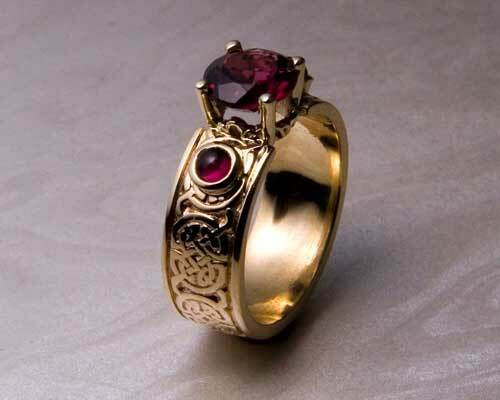 Engagement ring - 14k yellow gold. 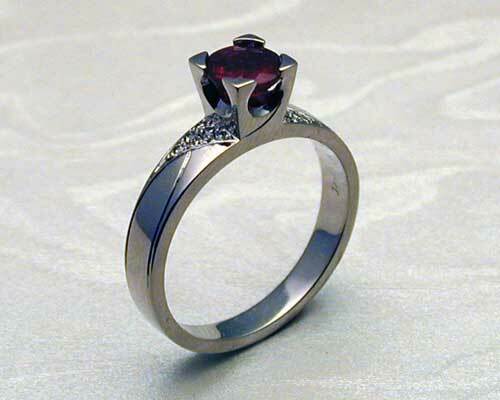 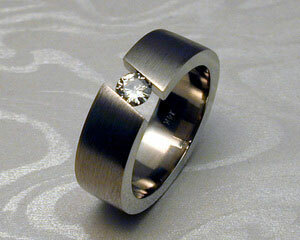 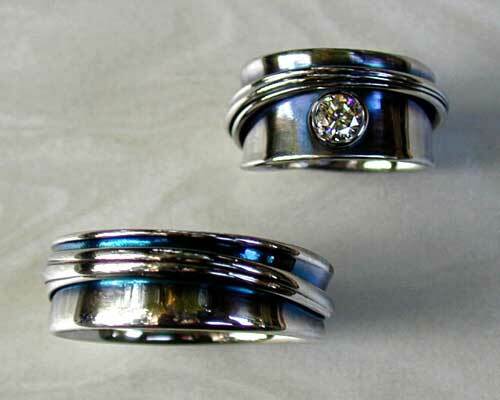 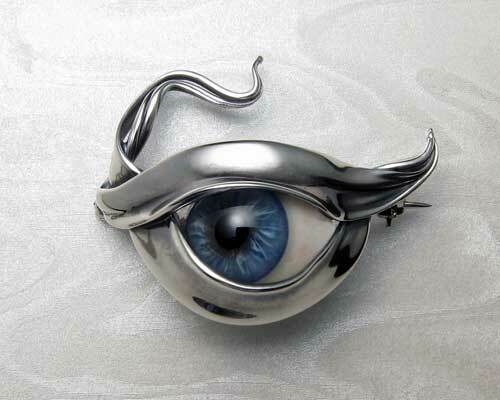 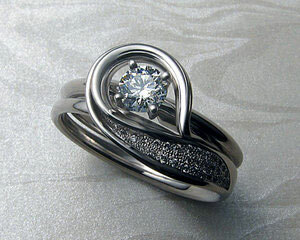 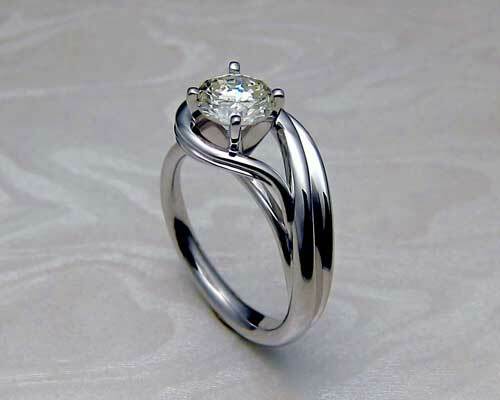 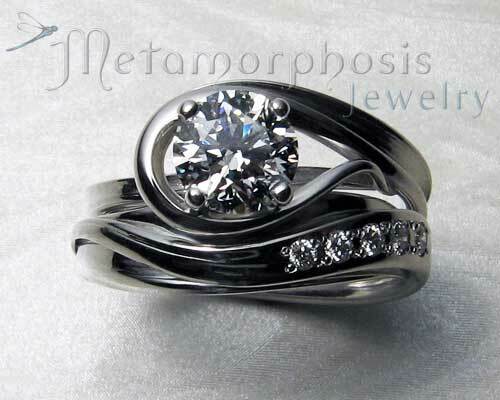 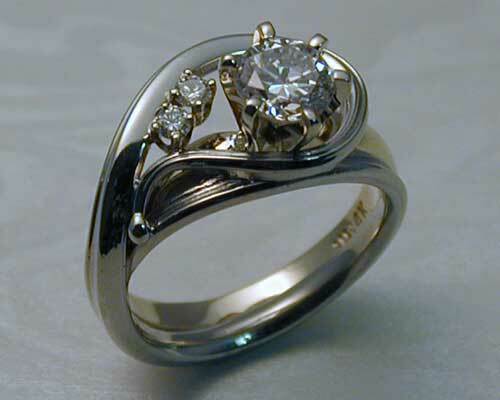 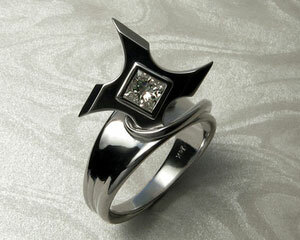 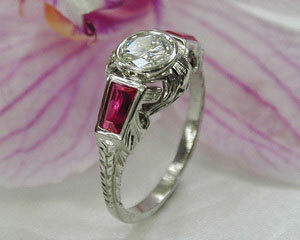 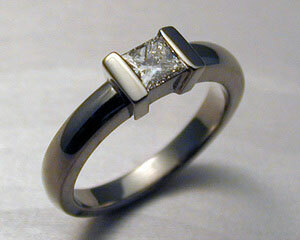 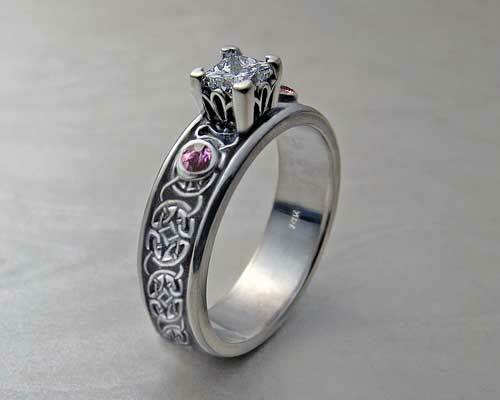 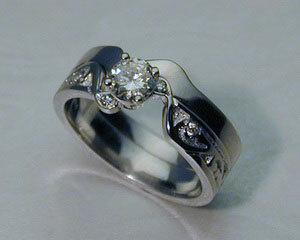 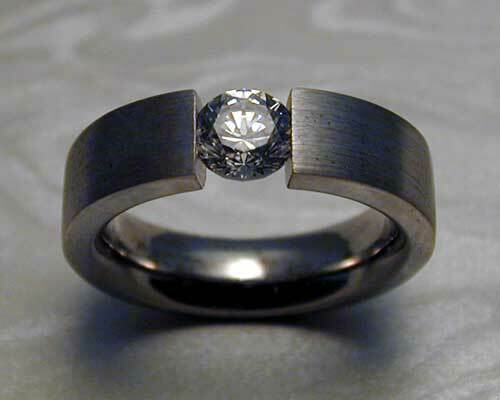 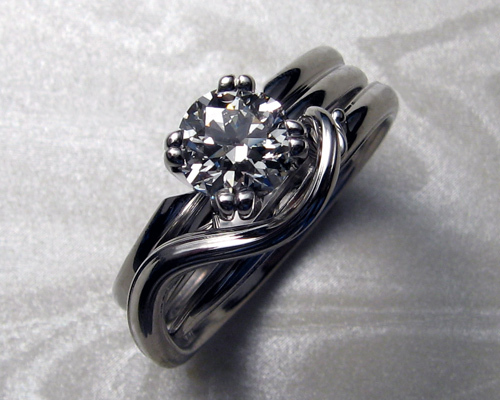 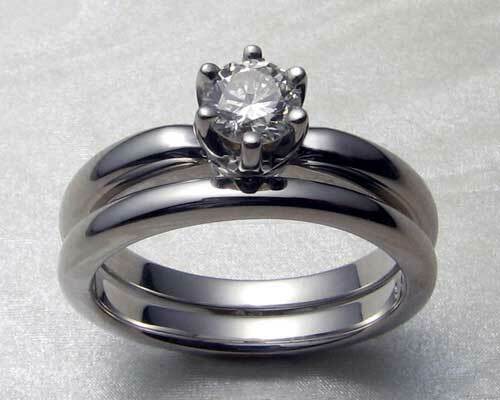 Diamond set in, 14k white gold, 4-prong setting with pavé diamonds set on one side. 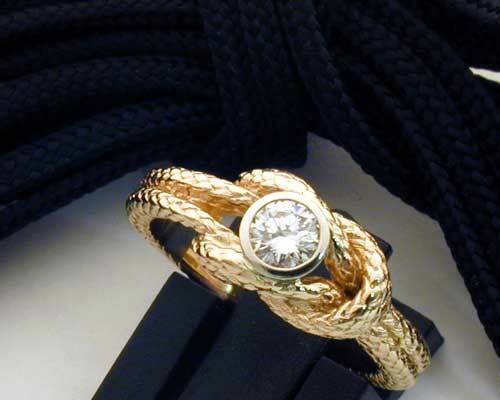 Matching band - 14k yellow gold. 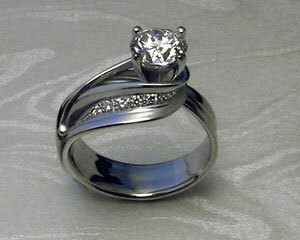 These prices do not include stones, please call for stone details and options.